Blend contains a hihger and a lower poly, newer blender version should be able to easily decimate the higher poly model well while keeping textures if needed. Ah this is perfect for the Skudrod Creature on Telos in my rpg sci fi game. Can I use this ? 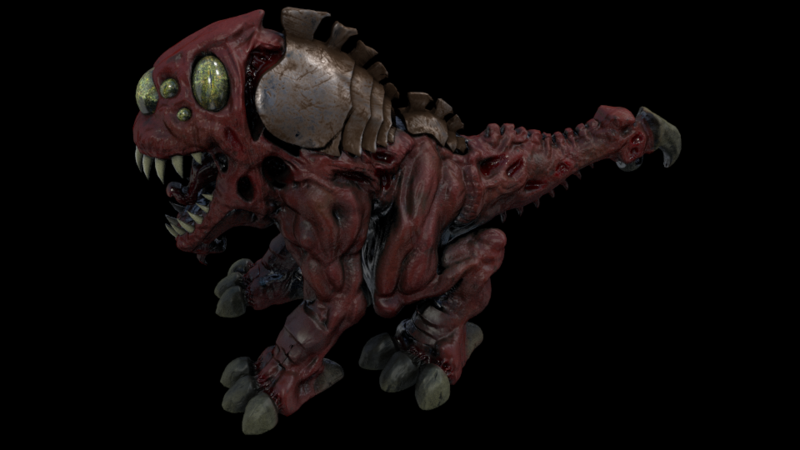 This would be awesome in the Doom game series. Your models are really going to make excellent cards for a card game that I'm programming.